JHNet offers super-fast, reliable website hosting. Our hosting servers utilise only the latest in security, software and server technology, assuring 99.9% uptime. We have no hidden costs and have different packages to choose from. We have our own dedicated servers, and do not resell for any third party web host provider, which means you will only need to deal with one company, without getting the run-around. Each server is backed up daily - safeguarding any loss of data. Our servers are hosted locally which means you get optimal connection speeds. We provide hosting for both small personal websites, to large enterprise web-based systems. JHNet's web hosting is suitable for open source content management systems like Joomla!, WordPress or DotNetNuke. We will set-up and configure everything for you, so you do not need to know anything technical, and our friendly support staff are always available to assist you when needed. Our dedicated Linux servers are not only stable, but lightning fast – guaranteeing your site is accessible to the public whenever it's requested. 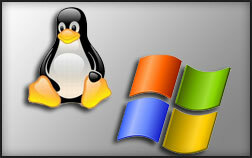 Linux web hosting is ideal for Joomla! and WordPress hosting. Our dedicated Windows servers are tried and trusted. JHNet's Windows web hosting is secure and steady, assuring your site is always available to your target market. The Windows platform is also ideal for DotNetNuke hosting. Our highly competitive web hosting packages are designed to meet each client's specific needs and vary from disk space and bandwidth. Our hosting packages are connected to our web development and website maintenance services meaning JHNet will be the only company you need to contact for any of your website needs.